Presented as part of The Gifford Foundation “What If…” Film Series. Circle Up is the story of a grieving mother, the men who murdered her son, and the unexpected relationships they create to prevent more violence. 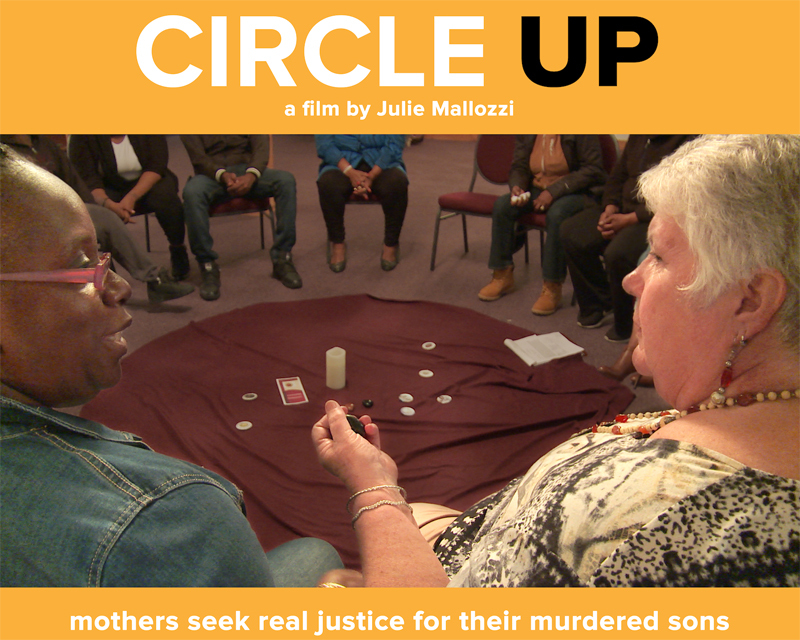 CIRCLE UP tells the powerful story of a group of Boston mothers who seek true justice for their sons’ murders. For these women, justice is not about revenge or mass incarceration but about healing, accountability, and community peace. This documentary speaks to the practice and power of restorative justice. After the brutal slaying of her teenage son, Dorchester mother Janet Connors reached out to her son’s killer to offer a chance for forgiveness. She lobbied the Department of Corrections for a year to become the first person in Massachusetts to hold a Victim-Offender Dialogue. The film opens a rare window into the reconciliation between a murderer and the survivor of his victim. This story is unique in that the perpetrator now works with Janet and other mothers to help prevent further violence. Their form of community-based restorative justice is a welcome alternative in a time when hate and retribution have become state-sanctioned. Followed by a moderated discussion with Linda Malik, ACTS Community Organizer.